Freycinetia funicularis is a tall, evergreen, climbing shrub, producing aerial roots that attach to other plants for support. The young flowers are sometimes harvested from the wild and consumed locally. 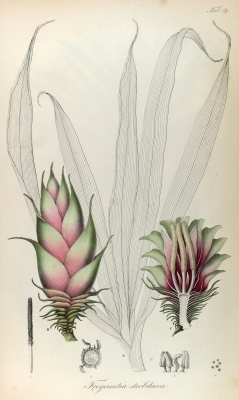 Includes a treatment of the Papuasian Freycinetia. It can be downloded from the Internet. Southeast Asia - Indonesia to Papua New Guinea and the Solomon Islands.